Scheduled for November 16th on the College of St. Scholastica Campus! Register and see more details here. For the latest, check us out on Facebook, Twitter, Instagram, and our blog. We will continue to add news and events to this page periodically, but those are updated consistently! Scheduled for November 17th on the College of St. Scholastica Campus! Register and see more details here. Congratulations to Dr. David Marc on his election to the Members on the Council for Excellence in Education (CEE) for AHIMA in August 2016. Well done, and thank you for your service! Coming on October 11th from 5-9 in Somer's Lounge and online! More info can be found on the website here. Congratulations to HIM faculty members David Marc and Ryan Sandefer, who just published their first textbook! Read the story here. 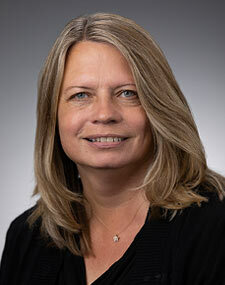 Pam Oachs, MA, RHIA, Assistant Professor in our HIM department, has been elected to AHIMA's Commission on Certification for Health Informatics and Information Management (CCHIIM). Ms. Oachs will work with the other commissioners to set the standards for certification for HIIM professionals. The Duluth News Tribune ran two recent stories about the growth of our B.S. in HIM program. The first focused on our new offering at St. Paul College and the second highlighted the elimination of the on-site requirement for the online B.S. in HIM. HIM Department Chair Ryan Sandefer is quoted in a recent Star Tribune story looking at the growing need for Health Information Management professionals and the educational options for those interested in entering the field. The article notes that St. Scholastica is the only institution in the state offering a four-year degree in HIM and a Master's degree in HIM. HIM Graduate student Olga Birov's paper regarding the "Reorganization of HIM for Expanded Job Functions" has been accepted for for this year's Healthcare Information and Management Systems Society (HIMSS) annual convention in Las Vegas, NV. St. Scholastica was featured in a couple of recent articles on the ICD 10 Watch website. The St. Scholastica legacy of leadership in HIM continues. Alum Deb Switzer '78 has been named executive director of the Minnesota Health Information Management Association, which is committed to advancing the HIM profession in an increasingly electronic and global environment through leadership, education and best practices. Switzer will begin her role on March 1. She takes over the position from her sister and fellow Saints alum, Myrna Myrna Wells-Ulland '93. Also, AHIMA has created a scholarship in honor of one of St. Scholastica's alums: the CSA Leadership Honorary Undergraduate Scholarship in Memory of David E. Westlake. Myrna Wells-Ulland was recently presented with the Michael E. Miner Board Leadership Award from Second Harvest Northern Lakes Food Bank. Myrna is a graduate of our HIM program and the director of MHIMA. Congratulations, Myrna! With the help of department chair Ryan Sandefer, HIM student Phillip G. McCann was chosen for an internship at IL-HITREC, an institution working with primary care providers in Illinois. HIM student Tony Evans was recently awarded the Student-Athlete Sportsmanship Award by the NCAA. The NCAA Sportsmanship Awards honor student-athletes and a coach, administrator or athletics staff member who, through their actions in the competitive arena of intercollegiate athletics, have demonstrated one or more of the ideals of sportsmanship, including fairness, civility, honesty, unselfishness, respect and responsibility. In the 2012 "Best Colleges" issue of U.S. News and World Report, HIM is identified as one of the "9 Hot College Majors". 2011 HIM graduate Heather Hodgson is quoted in the article, saying that HIM is a great career for those interested in the health care field but who isn't "all about patient contact." The article also notest that "the American Medical Informatics Association projects a need for more than 50,000 workers in the next five to seven years." St. Scholastica, in partnership with StratisHealth and the Rural Health Resource Center has received a Regional Extension Center grant. This grant has created a number of grant funded jobs for the region. Learn more. UP-HI Receives 2nd Highest Grant Given by ONC! St. Scholastica has formed a partnership with the University of MN Twin Cities and the University of MN Crookston called UP-HI, the University Partnership for Health Informatics. UP-HI has been awarded a grant by the Office of the National Coordinator (ONC) for over $5 million to provide university-based training in health information technology for all six ONC identified vtial health IT roles.